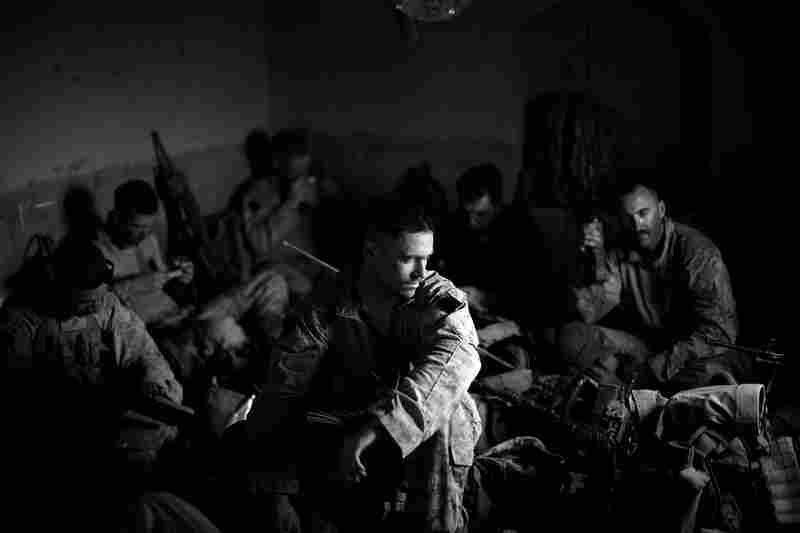 NPR's staff photographer David Gilkey was embedded with Marines in southern Afghanistan during the launch of Operation Khanjar (Strike of the Sword). 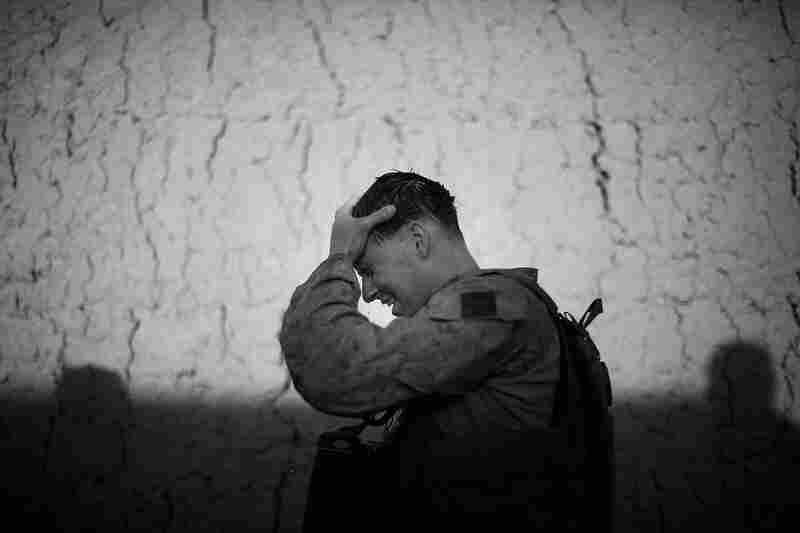 A Marine splashes water on his head in the 110-degree heat in Helmand province. 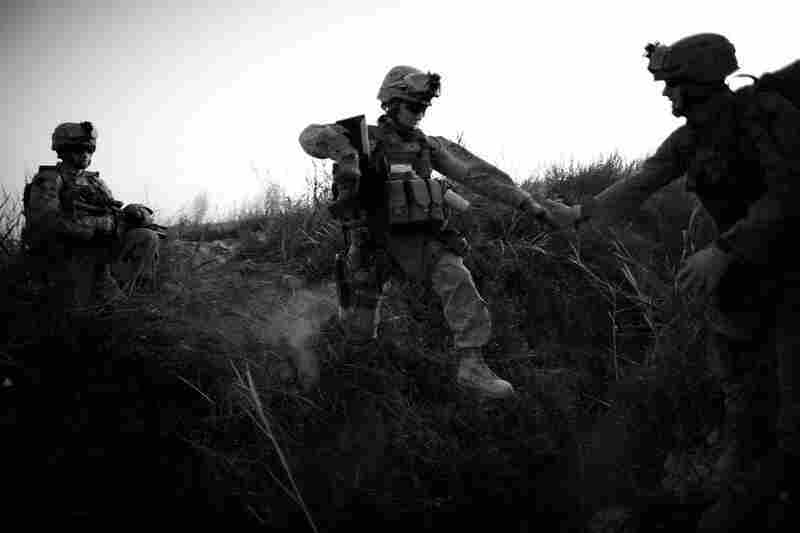 Moving from north to south with his unit during Operation Khanjar, Lance Cpl. Chris Garcia wades across a 10-foot-deep irrigation ditch. The area is criss-crossed with flooded ditches, making it difficult to maneuver. Lance Cpl. 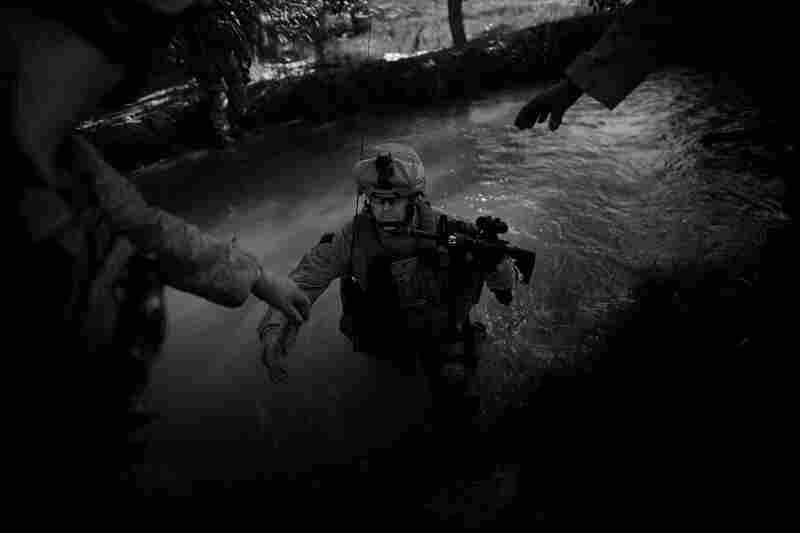 Daron Diepenbruck wades through one of the hundreds of irrigation ditches the Marines had to cross. Gilkey says that the terrain in the Helmand province feels more like Vietnam than Afghanistan. 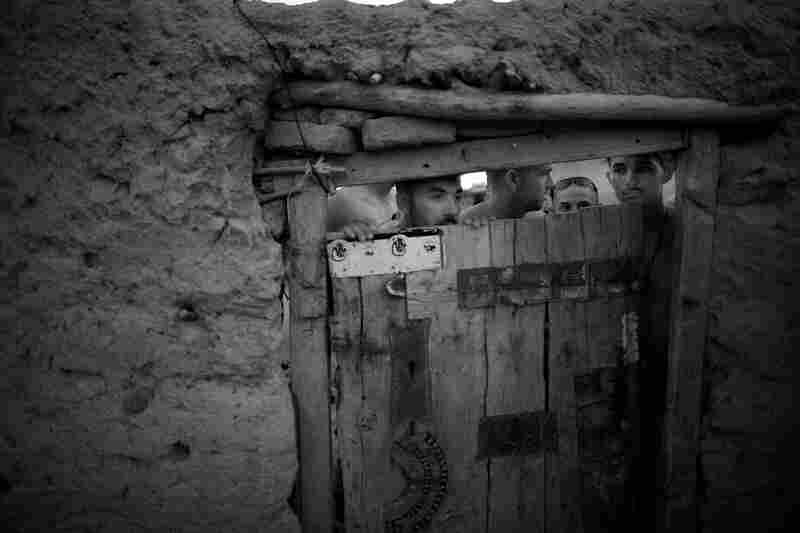 The Marines take cover in a trench as they come under fire, south of the Garmsir district in southern Helmand province. The Marines are on their feet all day, and as Gilkey says, not once do they walk on roads. Their boots fill up with sweat, so during breaks they remove their boots to dry their feet. 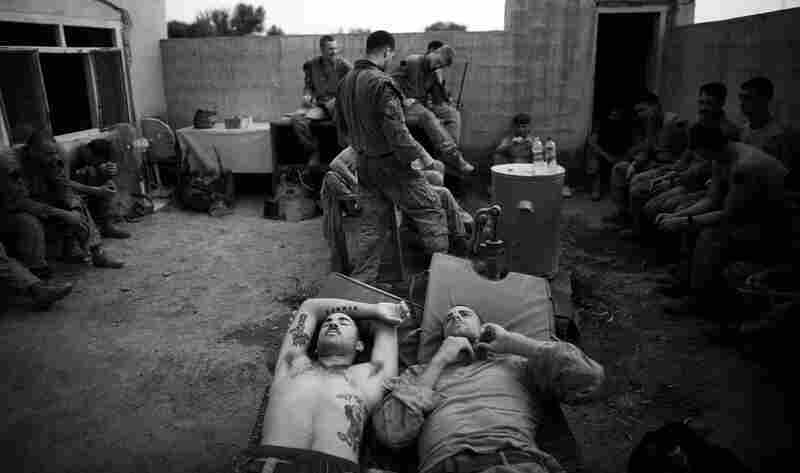 Marines pause at a compound for about an hour when the midday heat is almost unbearable. Gilkey says the Marines were almost constantly under fire. This man was detained and questioned after shooting at the Marines. To their frustration, he had thrown his gun into a nearby river, so they were forced to let him go. 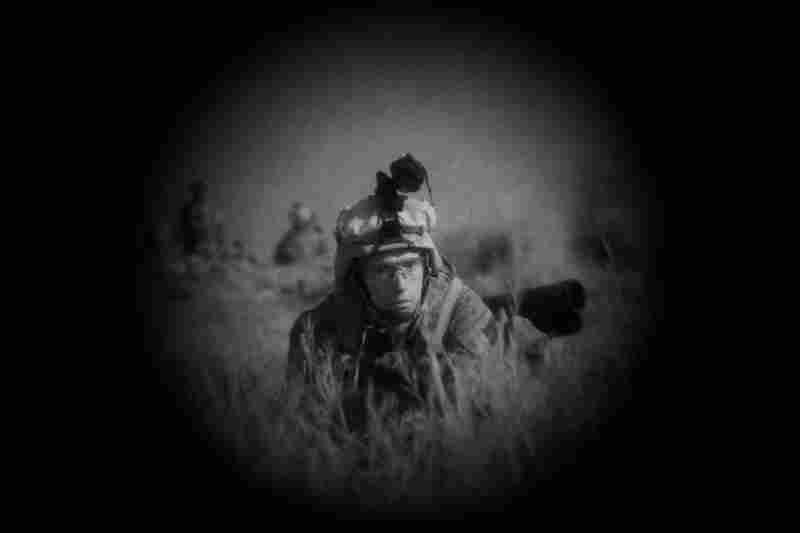 In this night vision photograph, Marines attempt to determine a route across the rugged terrain. At night, temperatures remain in the 90s. But the Marines eventually acclimate to the high temperatures, so nights feels cool. The sun rises again around 4 a.m.
Marines with the 1st Platoon, Golf Company rest in a compound, taking a break from the intense temperatures. To pass the time, Marines in the village of Mian Poshteh, attempt to catch a chicken using a string and a basket. Gilkey said the chicken was not hurt, but that perhaps the Marines' effort was retribution because the chicken woke the Marines each morning. Tattoos are a big part of Marine culture. Gilkey says it is hard to find a Marine who doesn't have one. 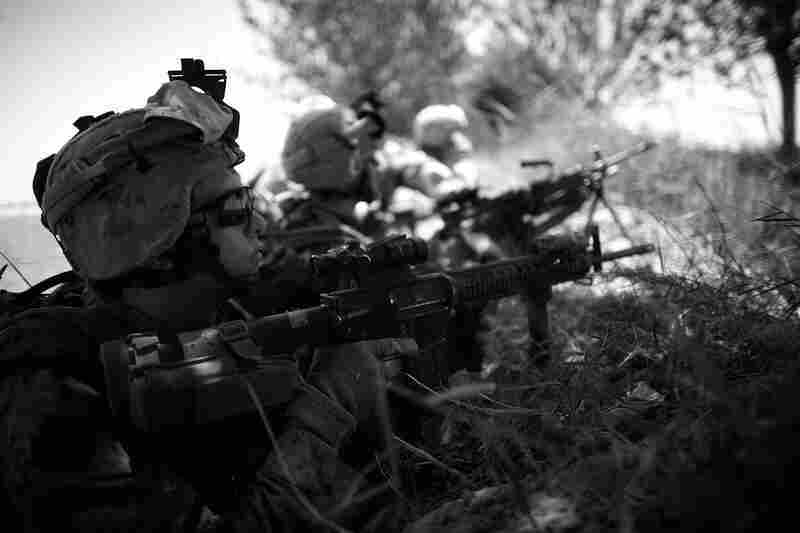 Marines try to find cover during a gunfight with insurgents in the middle of an open field. Gilkey guesses the insurgents were about 700 feet away. 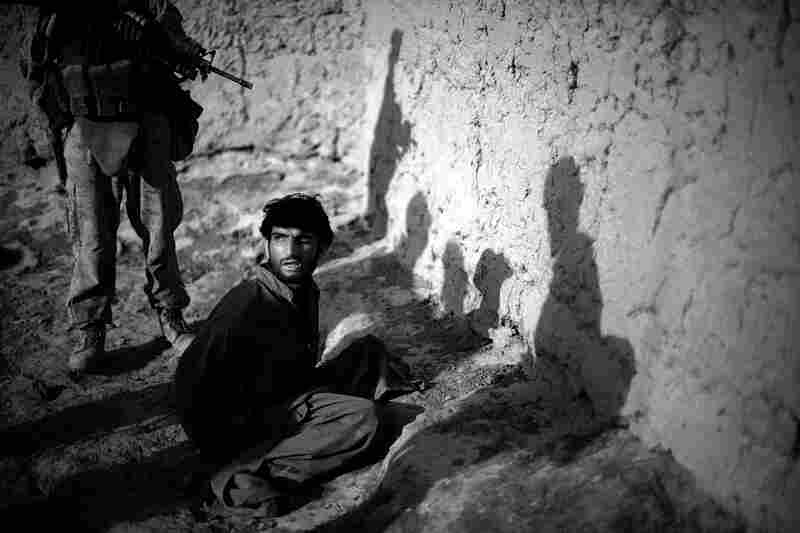 While under fire, he would run along the ditch taking photographs, wearing a helmet and bulletproof vest for protection. By the end of this trek toward the south, the Marines had abandoned excess gear, except their weapons, ammunition and the clothes on their backs. Gilkey says the number one rule for a photographer is to never leave gear behind. But he left most of his gear to join this trek, believing it was important to photograph the operation. The Marines were exhausted after an intense gun battle with insurgents. Gilkey found a ride back to Kabul, but the Marines were flown back north to prepare for another patrol toward the south. NPR staff photographer David Gilkey says that the number one rule for a photographer is: never abandon your equipment. But he decided to do just that — leaving most of his things behind except a camera, a lens and a bulletproof vest. What was supposed to be a brief patrol with the Marines in southern Afghanistan turned into a 7-day trek through the surprisingly lush Helmand River Province. 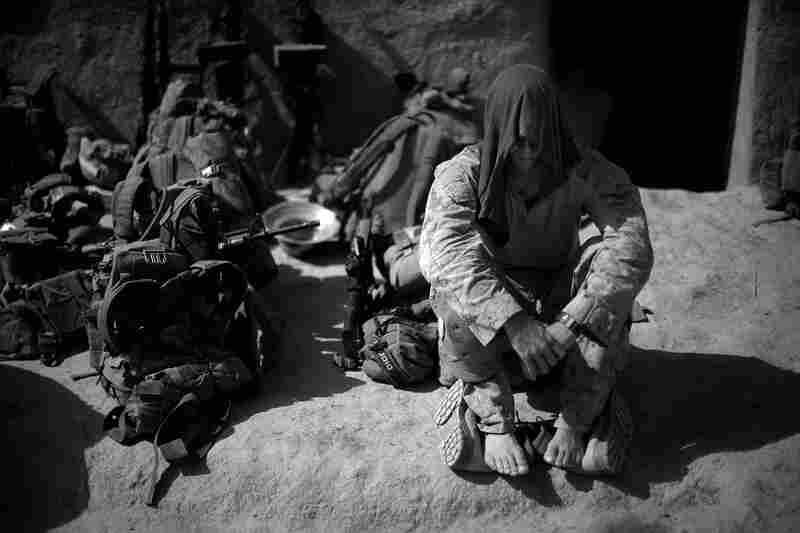 Trekking in temperatures well over 110 degrees, the Marines abandoned almost all of their belongings except their weapons, and dodged almost constant fire with only the clothes on their backs. 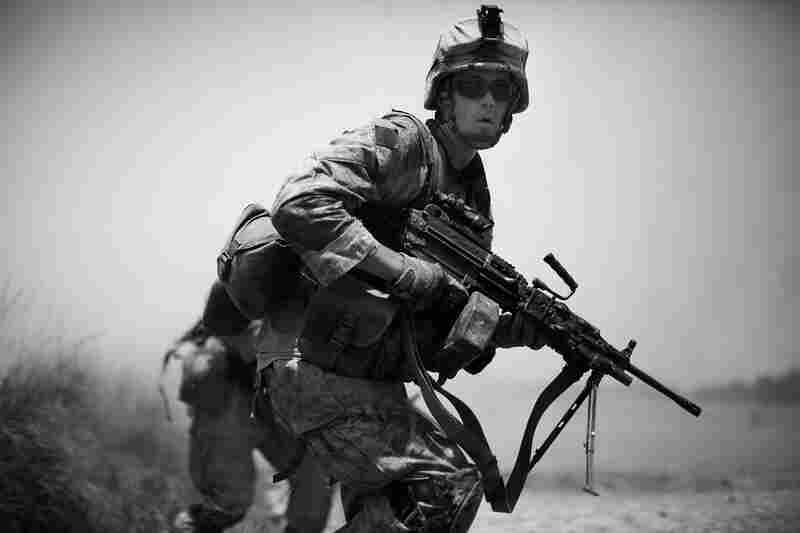 Hear Gilkey talk about what it's like taking photos in a war zone. Gilkey also discussed his experience on All Things Considered.